(Family Features)--No matter where you are in life, whether you're just starting your career or nearing retirement, it's important to understand the voluntary benefits available to you that can complement traditional health insurance. While health insurance can help cover medical costs in the event of injury or illness, sometimes there are additional expenses your health care plan doesn't cover. Voluntary benefits, such as life insurance, disability insurance and dental insurance, offered by your employer or as portable options through a company like Colonial Life, can help bridge the gap should an unexpected event occur. "Even if an employee has to pay a nominal sum for a voluntary benefit like disability insurance or dental coverage, it can be well worth it," says Sharlyn Lauby, president of ITM Group Inc., creator of the HR Bartender blog and contributor to Colonial Life's WorkLife blog. "Think of voluntary benefits as those specialized, personalized extras that make your overall benefits package exactly what you'd like it to be." Life Insurance. While almost nine out of 10 Americans agree that most people need life insurance, just 60 percent said they have it, according to LIMRA's Trends in Life Insurance Ownership study. With benefits typically paid tax-free to your beneficiary, life insurance can provide peace of mind and help loved ones pay for funeral costs, cover living expenses, pay off debt, finance future needs and protect retirement plans. Policies are often available through employers, but you may lose the coverage if you change jobs. However, portable policies are also available that allow you to maintain coverage even if you change jobs or retire. Disability Insurance. 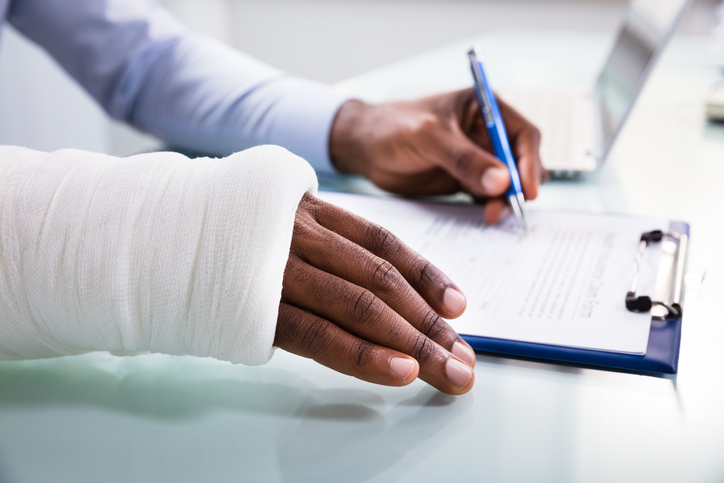 No one expects to get sick or injured, however, disability insurance can help protect your income and maintain your lifestyle if a physician determines you're unable to work due to a covered accident or illness. Common conditions such as pregnancy and childbirth, heart attacks, strokes, cancer and accidents make up the majority of disabilities that lead to an inability to work. With short-term disability benefits, you receive financial support for a predetermined amount of time to cover expenses such as a mortgage or rent, car payments, utilities, and more, so that you can focus on recovery. Dental Insurance. Daily brushing and flossing can help keep your mouth healthy, but that's not always enough, as dental problems can lead to other health problems if left unattended. When you see a dentist for routine appointments and necessary procedures, dental insurance can help reduce the out-of-pocket expense. In fact, among insurance benefits typically provided to employees, 61 percent of workers view dental benefits as important, ranking second after medical insurance, according to LIMRA. Dental insurance provides coverage for regular cleanings and more extensive procedures like fillings, crowns, dentures and tooth removal. Some plans even offer allowances for orthodontic work like braces and retainers. Accident Insurance. When an accident happens, one of the last things many people want to think about is how they're going to pay the bills. You can prepare for the unexpected with accident insurance, which provides a lump-sum benefit based on the injury suffered and treatment received that can be used to help pay for expenses following an accidental injury, such as doctor bills, copays, emergency room fees, transportation, lodging and follow-up care. Critical Illness Insurance. No matter your age or health status, a sudden illness could significantly impact your financial well-being, and health insurance may not cover everything. When a critical illness such as a heart attack, stroke or major organ failure occurs, major expenses often follow, and critical illness insurance can help offset costs. In addition to your day-to-day bills, the lump-sum benefit can be used to pay for treatment and recovery-related expenses including deductibles and copays, childcare, travel and lodging, gym memberships and out-of-network treatment facilities and procedures. SOURCE Family Features Editorial Syndicate, worklife.coloniallife.com.